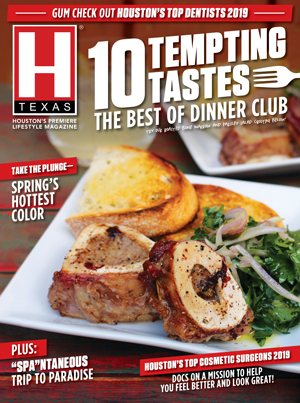 As the holidays approach, H Texas Magazine offers this list of some sweet stocking stuffers. A better-for-you sweet snack, Nature Nate’s Honey Co. www.naturenates.com is packed their 100% Pure, Raw and Unfiltered honey into the perfect pouch for snacking. 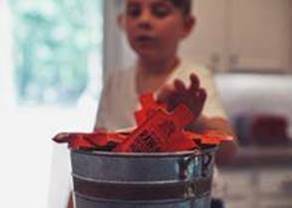 Nature Nate’s Honey Packets are a great allergy-friendly and delicious sweet treat kids will love to see in their stocking come Christmas morning. Dos Ron 8 Year Rum is your spirit of choice a fine whisky, scotch, or bourbon? Then you will enjoy the golden hues, exotic aromas, and diverse flavor notes of Dos Ron. Forget Jim, Jack, or Johnnie…Instead, opt for a gift with distinction, character, and sophistication. 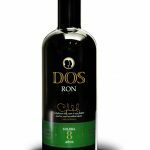 The rich taste of Dos Ron 8 Year Rum is great on the rocks and also blends well with cola, fruit juice, or your favorite mixer; while the bountiful, complex flavor profile of Dos Ron 16 Year Rum strike the perfect balance of heat and smoothness and is best enjoyed neat or on the rocks. 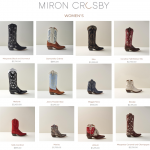 The perfect gift for all of the important women, men and children in your life, Miron Crosby’s handmade boots are a memorable gift they can wear for years to come. Offered in a variety of styles, the luxe line of boots are hand-lasted in Texas at a 160-year-old manufacturer where master artisans with decades of experience cut, last and stitch every pair by hand. Concierge design service allows clients to customize any boot with an array of colored leathers and threads as well as personalize with monograms. Clients can even inscribe a personal message to the interior shaft of the boot! Give the gift everyone has on their wish list…more SLEEP! 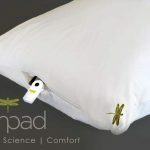 The Dreampad is a clinically proven and researched Smart Pillow that actually helps its users shut down for a good night’s sleep! 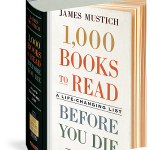 It’s a perfect gift choice for anyone who has a hard time falling asleep or staying asleep, or those who travel frequently and find themselves struggling to get shut eye in hotel rooms and unfamiliar spaces. The Dreampad plays music through a patented method which triggers the body’s relaxation response and signals your body and mind to relax. Through the app, you have access to 10 different song choices, volume control and length of play. Once your head is relaxed on the Dreampad, the music travels internally signaling your body’s natural relaxation response so you can ease into a great night’s sleep! 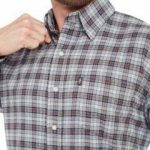 The Dreampad is available in a variety of sizes to fit every sleep style, including Memory Support, Firm Support, Medium Support, and Slim Support (Great for Travel). Retails between $129 and $179. friend or your best friend. They are easy to wear and look chic while working out. Prices range from $52–$128. Last night, foodies and wine enthusiasts gathered to eat drink and be merry! Rodeo Uncorked! 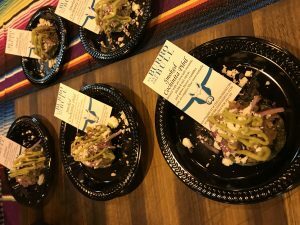 Roundup and Best Bites Competition featured 106 Houston restaurants, chefs, caterers and food trucks paired with winning wines from the 2018 Rodeo Uncorked! 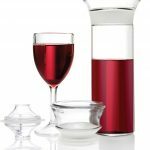 International Wine Competition. 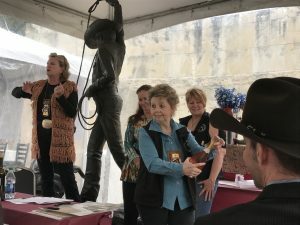 A selection of the champion wines will be available for tasting, by the glass and bottle, throughout the run of the Rodeo, Feb. 27 through March 18, in the Champion Wine Garden, located in Carruth Plaza. Opening a sparkling wine correctly is important. Hold the cork. Shift the bottle. It should sigh. Open and enjoy. 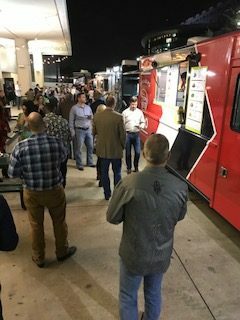 Tips like this and so much more are available when you visit the Houston Livestock Show and Rodeo Champion Wine Garden. atmosphere and award winning wines are on tap at this outdoor venue located between the carnival midway and NRG. The double blind judging took place in November. Grand champion is from Spain. A great woman will die, a team will win the World Series and Apple will come out with a new product that will not only make all other iPads, iPhones and iNukes obsolete, but will completely disable every other communications device. Yes, it’s time once again for us to predict the future, with special attention to our new government. Remember that last year’s predictions were 100 percent accurate with a margin of error of a mere 100 percent. JANUARY – After only parents of the players attend, and with TV ratings below the Test Pattern Channel for the first annual KFC Gravy Bowl, the NCAA announces that, in the future, bowl games would be limited to schools with actual coaches and a team. In his inaugural address, President Donald Trump orders he be addressed in the third person. In His Imperial Majesty’s inaugural parade, the float carrying his ex-wives is hustled away by the Secret Service, as are the cheerleaders and marching band from Trump University. FEBRUARY – The Super Bowl held in Houston features a halftime show of the Best Super Bowl TV Commercials, the Battle of San Jacinto — so as not to offend anyone, this time the Mexicans win — and a recreation of the Apollo 13 blast-off. The second half of the game is cancelled because someone forgets to open the stadium’s moveable roof. (Texan officials later explain, “We have a roof that opens?”) The Texas Board of Education bans a textbook on World War II for saying the plane that dropped the bomb on Hiroshima was the Enola Gay. JUNE –Is busting out all over. New director of the IRS announces that a little-known law requires New York City developers to withhold their federal income tax statements. A reporter calls the CIA to check out rumors that Russians have infiltrated top-secret positions in the agency. A spokesman replies, “Nyet.” The Texas Democratic Party is official listed on the Endangered Species list. “That’s not true. We are alive and kicking,” he says. JULY– The Fourth of July lands on July 4. President Trump takes full credit. Texas A&M announces it is leaving the SEC for the NFL. In response to criticism that Aggieland is being turned into a football factory, a press release explains: “Texas A&M is awl about edukashun.” The Kremlin announces that 25 American. spies exposed in Russia have been executed. Fox News wins Pulitzer for Best Fiction writing. AUGUST – FBI Director James Coney reports newly found emails show a fortune awaits him from a Nigerian prince. The Texas Board of Education approves printing books with moveable type on paper “as a pilot project.” FEMA declares the Astros’ bullpen a disaster area. A final NBC exit poll finds Clinton beating Trump in the Electoral College by13 points. OCTOBER –Hillary Clinton is found hiding in a tunnel under a New York City pizzeria. Bill Clinton says, “Not her. Keep looking.” President Trump asks, “Do we really need 17 different intelligence agencies?” No one knows why, so Congress establishes a new Committee to Find Out Why, with a Budget of $30 million and a staff of 400. Under new leadership, the EPA announces a new Friends of Smog Society and its Adopt-a-Refinery program. .
DECEMBER — Upon hearing that, during the Christmas season, bell-ringers will be placed outside department stores by the Salvation Army, Gov. Greg Abbott orders the Texas Guard to “monitor this imminent threat of a military takeover of Texas.” A blizzard hits northern Alaska. Newt Gingrich blames “the elite liberal media.” Secretary of State Rex Tillerson orders all embassies and consulates to replace the U.S. seal with an Exxon logo. Lt. Gov. Patrick is run over on the Trans-Gender Freeway. Moody Gardens should be on your holiday calendar every year! Offering something for all ages, from the Festival of lights, to Rudolph the Red-Nosed Reindeer in 4-D, your family will enjoy time spent here. We arrived around 4:00pm to give us a time to explore the property before dusk. Start with a quick tour of the rainforest pyramid. 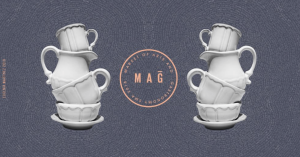 This is the type of exhibit you can explore at your own pace. Be sure to look for the River Otter and watch out for the White-faced Saki monkeys who literally roam the tree tops of the rainforest. No visit to Moody Gardens would be complete without saying hello to the penguins. You’ll encounter some sharks as you take the Caribbean tunnel to see the penguins. Next, The North Pole meets the Caribbean as Moody Gardens introduces ICE LAND: Ice Sculptures, A Caribbean Christmas. For the third year in a row, Carvers have come from China to sculpt two million pounds of ice. This cool holiday attraction features nine scenes such as scuba diving, a towering oilrig, tropical fish and more; all maintained at a chilling nine degrees. At dusk it’s time to walk the one-mile Festival of lights trail filled with sound-enhanced lighting and animated displays. This leisurely walk features spectacular lights, trains, fish, butterflies, and culminates with the North Pole. The walk takes about 30 minutes. Admission to the Festival of Lights is $10.95 and other ticking options vary. Four Seasons Resort Punta Mita will welcome photographers of all skill levels to the picturesque landscape of the Riviera Nayarit October 31 – November 4. The AAA Five Diamond property will offer a once-in-a-lifetime opportunity to learn from American photographer Robert Caplin and American sports and portrait photographer Peter Lockley, in one of the most naturally beautiful beachfront destinations in Mexico. Guests can participate in guided workshops, on-location shoots, one-on-one editing and constructive critique, as well as instructor demonstrations, all while enjoying the breathtaking scenery that Four Seasons Resort Punta Mita has to offer. In between photography excursions, participants can bask in the luxury of their own spacious Mexican-style casitas, complete with tranquil views of the turquoise waters and white sand beaches. Additionally, guests are invited to indulge in an array of invigorating culinary experiences available at the resort, including custom tequila blending and new indigenous outdoor cooking classes. Professional photographers, Robert Caplin and Peter Lockley – known for their contributions to leading publications including New York Times, National Geographic, The Washington Times and ESPN the Magazine – will offer their guidance during daily photography adventures through Punta Mita’s most scenic natural settings. They will lead outings to charmed places including the vibrant town of Sayulita, the incredible nature preserves of San Blas, the energetic fish markets of La Cruz, and Punta Mita’s best secret surf spots, all while lending their combined expertise in editorial, commercial, and portrait photography. These outings will present a variety of unique shooting situations; from landscapes to portraits, to stories, utilizing natural and artificial light in order to help refine and develop participant’s skills. Throughout the week Caplin and Lockley will lead inspiring lectures and hands-on gear demonstrations, offering personalized, engaging feedback and analysis to further develop and refine participant’s abilities and leave them refreshed and eager to continue their personal photographic journey. 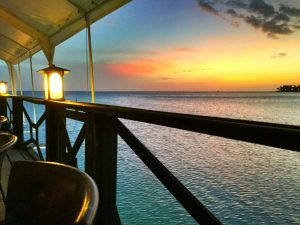 While polishing their photography skills and harnessing their creativity, guests are able to fully take advantage of all the resort has to offer, including unrivaled service, pristine white sand beaches, spectacular fine dining options, and new immersive culinary experiences. 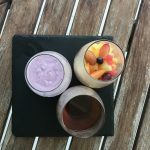 Photographers can trade in their cameras for mixing spoons and learn historically-inspired indigenous cooking techniques in the Iku Garden outdoor kitchen, try their hand at customizing their own tequila during a hands-on tasting and blending experience, or simply indulge in a seasonally flavored Mexican gelato or popsicles at the resort’s new beach front Gelateria. Pricing for the workshop starts at USD $4,999.00 for a single participant, which includes all workshop fees, daily breakfast and Four Seasons Resort Punta Mita luxury accommodations in a Garden View Double Room. Ocean view and beachfront rooms are available for an additional cost. Participants will also enjoy a hosted cocktail reception upon arrival and gourmet farewell dinner at the close of the program. It is recommended that participants bring their own camera; however cameras and additional equipment will be available to check-out and purchase before, during or after the workshop. Reservations will be handled by Four Seasons Resort Punta Mita through http://www.fourseasonsworkshop.com/. Rockport-Fulton Texas (March 8, 2015) – Sunday, April 3, 2016 has been designated by the Aransas County Navigation District as a “ Free Beach day” for all to enjoy. Visitors and locals alike are invited to take advantage of this free offering. After all who doesn’t love to get something for free? Rockport Beach was labeled Texas first Blue Wave Beach and remains one of only three in the state. The beach has something to offer the entire family. Visitors will, get the opportunity bask in the sun, stroll along the beachfront and splash in the clear water of the bay. For the youngsters, the beach offers shallow water without strong waves and children’s play areas with playground equipment. For the sports minded, a volleyball net and walking track are available for land-lubbers, but the opportunities for watersports are endless from water-skiing to fishing and everything in between. The entire family will enjoy the beach palapas, the covered picnic cabanas and the clean restrooms with indoor showers. For those who wish to swim, there is a saltwater lagoon at the far end of the beach, with beautiful views of the Key Allegro community. Rockport Beach has two pavilions that can be rented for business meetings, reunions or other special occasions: The Beach Pavilion with indoor and outdoor meeting space or the Saltwater Pavilion. Pets are not allowed on the beach, but there is a special section just outside the beach area for pets to play in the water. Admission to the beach is normally $5 (per vehicle) daily, a yearly beach pass can be purchased for $20. For more information on Rockport Beach www.rockportbeach-texas.com .For information about Places to Stay visit www.rockport-fulton.org or call 1 –800 242-0071 or email tourism@1rockport.org. If you are traveling from San Antonio take IH-37 south to Corpus Christi, and then take U. S. Highway 181 to Gregory; at Gregory take State Highway 35 into Rockport. From Houston, take U. S. Highway 59 to Victoria, take U. S. Highway south to State Highway 239, and then, south to Tivoli, and at Tivoli, take State Highway 35 to Rockport. Volunteers are busy planning the 2nd Annual Perro de Mayo fundraiser that will take place Sunday, May 15, 2016, from 3:00 to 7:00 PM at the Continental Club, 3700 Main, Houston, TX. The event will benefit Barrio Dogs and is open to the public. It will feature live music, food and a silent auction fundraiser. Tickets are $15 and can be purchased at the door or in advance on Eventbrite. 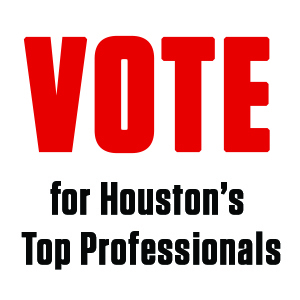 This year’s host will be Rick Heysquierdo of KPFT’s Lone Star Jukebox. The musical lineup includes Zenteno Spirit, Gal Holiday & the Honky Tonk Review and Mike & the Moonpies. DJ Jason will spin classic vinyl and local artist Carlos Hernandez is creating more unique Perro de Mayo merchandise. Original artwork and other items will be sold via silent auction and a delicious barrio dinner will be available for purchase. Barrio Dogs is a community-based nonprofit that has been working in Houston’s East End since 2010 to educate and empower residents to improve conditions for the animals in their community. Stray and roaming animals are a big problem in the area with 61% of residents citing it as their biggest public health concern.1 Contributing to the situation are owners who do not spay or neuter their pets and allow them to roam the streets and breed, creating more unwanted animals. Barrio Dogs focuses on community and educational outreach at schools, businesses, neighborhood centers and civic association meetings where volunteers make presentations and distribute literature on topics like low cost spay neuter options, proper pet care and reporting animal abuse and neglect. At community outreach days at East End parks, pets belonging to nearby residents are signed up for free spay and neuter. To date, Barrio Dogs has fixed, vaccinated and vetted over 2,000 animals, all paid for with private funds raised at events like Perro de Mayo. The organization began when native Houstonian Zenteno returned to the East End after years away and was horrified to see so many homeless, neglected and mistreated animals. Zenteno first worked with rescue groups but realized that the community lacked a humane solution addressing the root of the problem. With that belief, Barrio Dogs was born with the message that: 1) pets are a lifelong commitment and must receive proper care and treatment, 2) education and spay neuter are the most humane and effective methods of controlling animal overpopulation, and 3) zero tolerance for animal mistreatment and neglect will create safer, healthier, higher property value communities. Singapore Airlines has launched Book the Cook service in Houston, offering First and Business Class passengers flying from George Bush Intercontinental Airport (IAH) the convenience and control of pre-ordering their meal before they fly, and introducing local flavors to their inflight dining experience. Part of Singapore Airlines’ prestigious culinary program, Book the Cook gives passengers the flexibility to select their choice of main course online or through the reservations office up to 24 hours before flight departure. Book the Cook menus include dishes featuring innovative international fare, as well as signature dishes with regional influences comprising its World Gourmet Cuisine. The new menu was designed specifically with Houston travelers in mind, incorporating local favorites such as BBQ Beef Brisket with Spanish Rice, alongside SIA traditions such as the popular Lobster Thermidor. Book the Cook is now available in each of SIA’s four U.S. gateways: New York (JFK), Los Angeles, San Francisco and Houston. First Class passengers also enjoy their choice of Dom Perignon or Krug Grande Cuvee Champagne, while Business Class passengers are served Taittinger Prelude Grand Crus—in addition to Singapore Airlines’ international wine list carefully selected by a roster of expert sommeliers. Singapore Airlines serves the Houston area with flights five times a week from IAH to Moscow (DME) and Singapore aboard the B777-300ER. For more information, visit Singaporeair.com for more details. Join us on Facebook, www.facebook.com/singaporeair and follow us on Twitter, www.twitter.com/singaporeair. Seared lamb loin with jus served with crushed pea with mint, leek and olive oil mashed potatoes. Designed by Singapore Airlines International Culinary Panel Chef Alfred Portale. A high resolution version of this image can be downloaded here. Situated near pristine beaches in the Riviera Nayarit, just north of Puerto Vallarta, Mexico, The St. Regis Punta Mita Resort boasts an exquisite and safe retreat for guests of all ages. This year, vacationers can attend the fourth annual Punta Mita Beach Festival taking place July 7-10. Hosted by The St. Regis Punta Mita Resort in conjunction with Punta Mita Expeditions, DINE, the master developer of Punta Mita Resort, and the Riviera Nayarit Convention & Visitors Bureau, the four day extravaganza combines surfing, snorkeling, scuba diving, stand-up paddle, yoga, sandcastle building for the kids and exquisite cuisine prepared by renowned guest chefs at one of the most beautiful and sought-after destinations in the world. 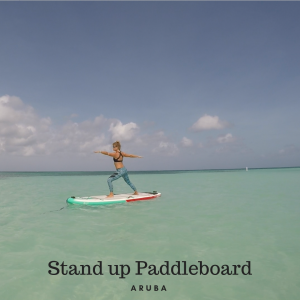 The celebratory summer event and other surf and sand activities offered year-round take full advantage of the renowned beachfront resort’s unparalleled destination. Here’s a new one: Brides and grooms tying the knot may now opt for a post-wedding “Splash and Snorkel the Dress.” Inspired by the trash the dress trend, the package allows newlyweds to participate in one last photography session after the wedding, as well as enjoy their first married activity together: trashing the dress! The post-wedding activities begin as a local professional photographer captures the first moments of the new Mr. & Mrs. as they splash along the shore of the resort’s cove-like protected beach, dressed in their gown and suit. After frolicking in the sand and sun, the couple can say “adios” to the photographer and slip into their swimwear apparel to snorkel in the resort’s eco-friendly artificial reef featuring more than 300 varieties of fish. To complete the experience, the couple receives a plush robe, bottle of champagne and hors d’oeuvres upon return to their room. The Condado Plaza Hilton is a stunning location for weddings in Puerto Rico with 41,000 square feet of indoor and outdoor event space. From the hotel’s Ocean Gardens with crashing waves of the Atlantic surf in the background to the Royal Ballroom, venues can accommodate everything from an intimate gathering of 10 guests to a grand celebration of up to 1,100 guests. The hotel’s professional wedding planners and award-winning culinary team are also on hand to personalize and coordinate every last detail. The “Splash and Snorkel the Dress” package starts from US$413* per night, including accommodations, a bottle of champagne, hors d’oeuvres, two-hour photography session and complimentary snorkeling equipment rental for two. Photo prints and video, as well as underwater pictures, are available for purchase for an additional cost. To book the package, please visit https://goo.gl/ex9Le9. For more weddings information at The Condado Plaza Hilton, please visit www.condadoplaza.com or call +1 787-721-1000. *Taxes and resort fees are not included. Other restrictions apply. A representative from Telluride, CO was in Houston last week. He had a lot to say. With record breaking tourism in Telluride and a 30 percent increase in available air seats over the last two years, the destination continues to be ranked among the best resorts in the world. Travelers planning trips to Telluride for the winter 2015-16 season will be greeted with added flights, updated lodging options, new restaurants and bars, ski camps, improved grooming and much more. “We celebrated a record season last winter, and with continuing improvements to access, guest services and amenities, we’re giving our guests the best possible experience, whether they are visiting for the first time or loyal repeat guests,” said Michael Martelon President and CEO of Telluride Tourism Board. United, Colorado’s primary carrier, will continue to expand on its already-existing network to Telluride/Montrose with the addition of highly sought-after flights from New York – La Guardia (LGA). MTJ’s core hub service will continue with multiple daily, year-round flights from DEN, daily service from Houston and Chicago, along with weekend flights from Los Angeles and San Francisco. Peaks Resort and Spa: In July 2015, Telluride Ski & Golf (TSG) closed a deal with Peaks Capital Partners to take over the Peaks Resort and Spa. The Peaks Resort and Spa is a ski-in/ski-out, full service hotel located adjacent to the Telluride Ski & Golf Club. The hotel features 177 guest rooms, a 42,000 square foot, 32 treatment rooms spa, indoor and outdoor swimming pools with a waterslide and 9,100 square feet of indoor and outdoor meeting space. The spa itself is the largest in Colorado in terms of square footage and offers a variety of treatments as well as fitness and wellness programming. New Grooming Equipment: The resort has added a new Snowcat PistenBully 600 to the fleet,. The fuel-efficient PB600’s wider track and tiller allows Mountain Operations to increase the number of acres that can be accessed in a shorter amount of time, helping the resort better prepare for opening and increase grooming times throughout the season. Snowmaking Enhancements: To bring more snow to Hoot Brown Terrain Park, TSG is installing Tower Mounts that enable easy relocation of snow guns from other areas of the mountain. Additionally, a new variable frequency drive panel will be installed at Misty Pump House, making it easier for the snowmaking pros to adjust water flow to pumps. TSG is also working with the town of Mountain Village to replace an old water line that is the key supply line for snowmaking. Sunshine Express (Lift 10): A new gear box has been implemented to improve overall reliability of lift performance and new pulleys have been installed. Telluride is like no other place with all of this and much more, making it unique, authentic and inspiring. Come experience everything this destination has to offer and discover why Telluride is the most Colorado place on earth. For further information, or to book a trip, visit www.visittelluride.com. Travelers of all ages love Esperanza. For families, the Villas are the place to be featuring full kitchens and private plunge pools. Your family will love the largest pool in Cabo with beach entry and swim up bars. The Villas offer partial ownership opportunities and The Residences at Esperanza offer full and partial ownership – for those of you who want to own a piece of this beautiful seaside town. Orlando you glad to see me? As a life-long Marriott rewards devotee, I’ve logged a lot of nights at hotels under this flag throughout the globe. My friend Bobby and I often text each other our view with the question where am I? On a recent trip to Orlando Grande Lakes, I texted him my view. His reply: Maui. That’s how beautiful this 500-acre Orlando resort is. 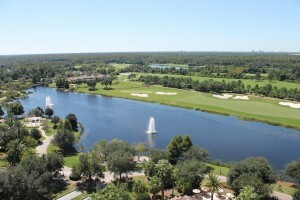 Our balcony had a view of the sprawling golf cours e, beautiful lakes and most of Orlando’s famed parks in the distance. Heading to Orlando? Avoid Mickey Mouse crowds. 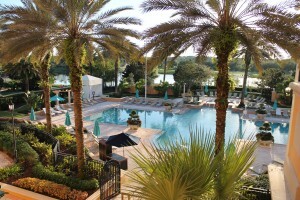 Enjoy Grande Lakes comprised of The Ritz-Carlton and JW Marriott Orlando. 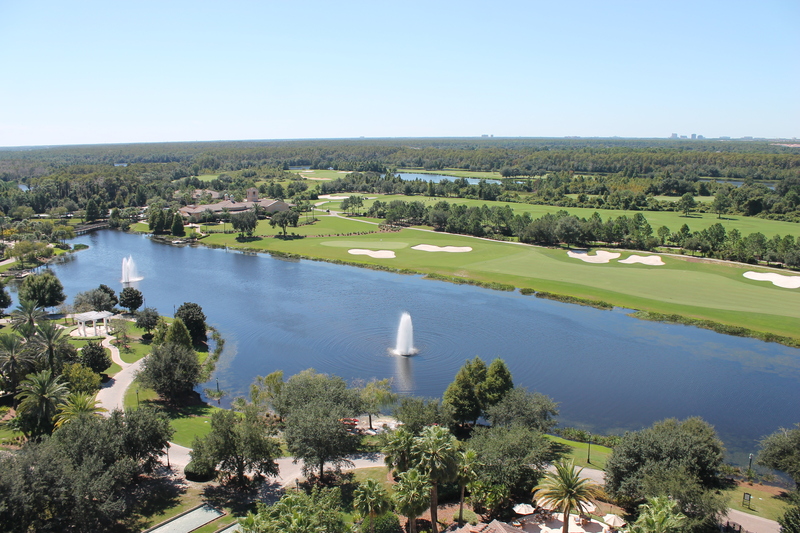 Guests at both hotels can enjoy all the facilities and services at Grande Lakes Orlando, including the 18-hole championship golf course, designed by Greg Norman, the 40,000-square-foot Ritz-Carlton Spa with total-wellness treatments and a rooftop eco-space. 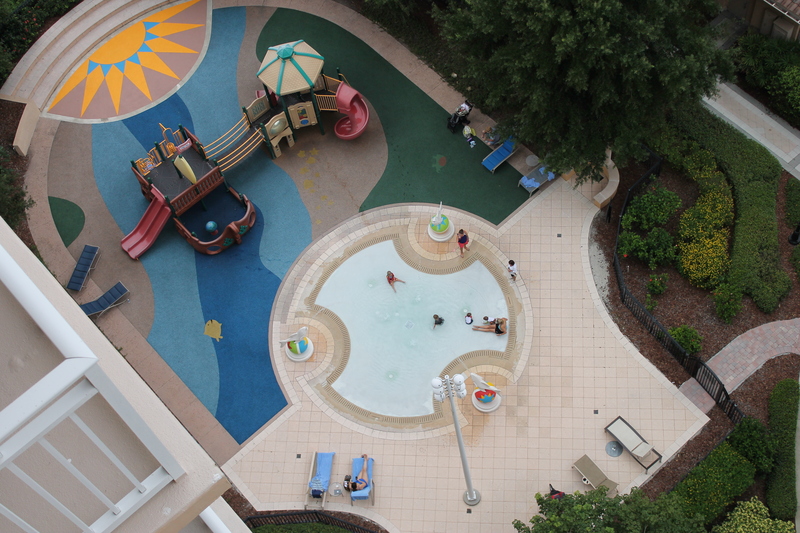 The lush grounds offer walking trails, nature installations and two grand pools, splash pads, and winding river. Grande Lakes has been dedicated to farm-to-fork dining for over ten years. Guests can view fresh herbs, vegetables and more in the Primo Garden, and taste them in their food at award-winning Chef Melissa Kelly’s Primo restaurant. The property also bakes all their bread in house and raises chickens at the Whisper Creek Farm coop. 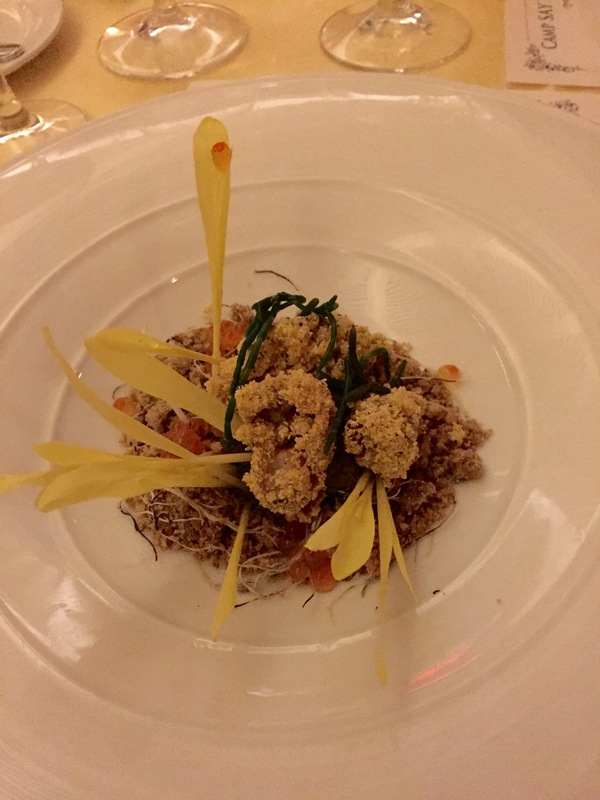 We met with Chef de Cuisine Mark Jeffers after the recent opening of Highball & Harvest. Having grown up on the water, the Daytona, Florida native pulls his culinary inspiration from his home state. H&H’s signature dishes: Pig-n-Potatoes, an all-day breakfast dish of poached egg, potato hash, and tender pork cheeks with sweet peppers, caramelized onions, H&H Hot Sauce, and hollandaise sauce. Smoked Lamb Brisket, Raw Oyster Bar with signature house-made H&H Hot Sauce. “The dishes we create at Highball & Harvest are designed to give restaurant-goers a sense of nostalgia while enjoying southern classics infused with regional flavors,” says the chef. Showcasing a rustic yet polished design, The Kitchen has the vibe of eating in your family’s kitchen, with a variety of communal, high-top, sofa, outdoor, and bar seating. Menu items at The Kitchen feature seasonal ingredients from the 7,000-square-foot on-site garden at Whisper Creek Farm as well as fresh eggs daily from the farm’s chicken coop. The Kitchen’s sausages and charcuterie, prepared by the JW Marriott butcher, pair perfectly with The Brewery’s hops-laden creations. The first Marriott property to launch a nano-brewery, Grande Lakes has brought in a local Cicerone-certified brewmaster to lead The Brewery. The Brewery produces 28 gallons of beer weekly including five styles of beer created each season—Dark, Wheat/Light, Amber, IPA and a Special Brew (a seasonal made from the freshest farm ingredients). Signature Special Brew varieties will include the Maple Bacon Stout, Soup of the Day IPA, and Ghost Pepper Wheat. 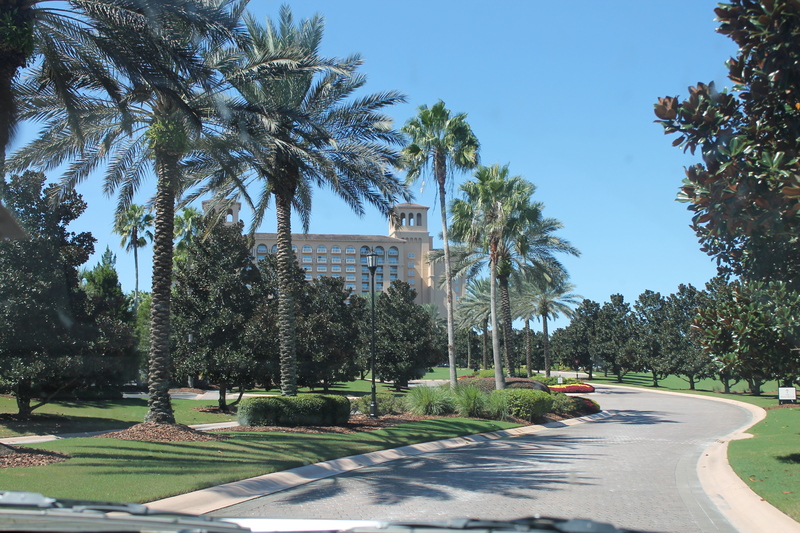 The secluded lush gardens at the Spanish-Moorish style The Ritz-Carlton Spa Orlando create a relaxing environment. 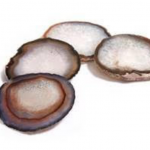 They surround over 40,000 square feet of spa facilities, including 40 treatment rooms. Unique to the Ritz are treatments in the outdoor Rooftop Eco-Space and herb garden. The Eco-Hammock Massage combines “zero gravity” and massage techniques including Thai stretching, deep tissue and Cranial Sacral (balancing the central nervous system through neck massage). Allow yourself to melt into the hammock as it rocks in a soothing, rhythmic motion. The therapist lies under the hammock and digs into your shoulders with her heels. Fitness classes include Yoga Stretch, ZUMBA, Tai Chi Qi Gong, INSANITY, Spinning and Cardio Kickboxing. The grounds at Grande Lakes property are reason enough to visit. We spent hours walking and along the way, learned about local flora and fauna, butterflies and more. Perfect for families, or couples, there is something for everyone here. And yes, they’ll shuttle you to Disney World. SAY: The Stuttering Association for the Young, benefited from Mark’s American Cuisine’s generosity as they helped raise funds and awareness. 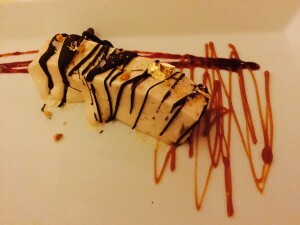 During the month of August, Mark’s American Cuisine offered a specially-priced Prix Fixe 3-course lunch menu for $29 and a 6-course dinner Chef’s Tasting menu for $75. In addition to enjoying an epicurean adventure at Mark’s, guests supported children from families-in-need with every purchase. Mark’s donated $5 from each Prix Fixe lunch, and $10 from each Chef’s Tasting dinner . “Mark’s is thrilled to offer our guests a culinary experience that will not only satisfy their appetites but that will feed their hearts as well,” said Cox. Editor’s note: I attended experienced some of Mark’s food recently. 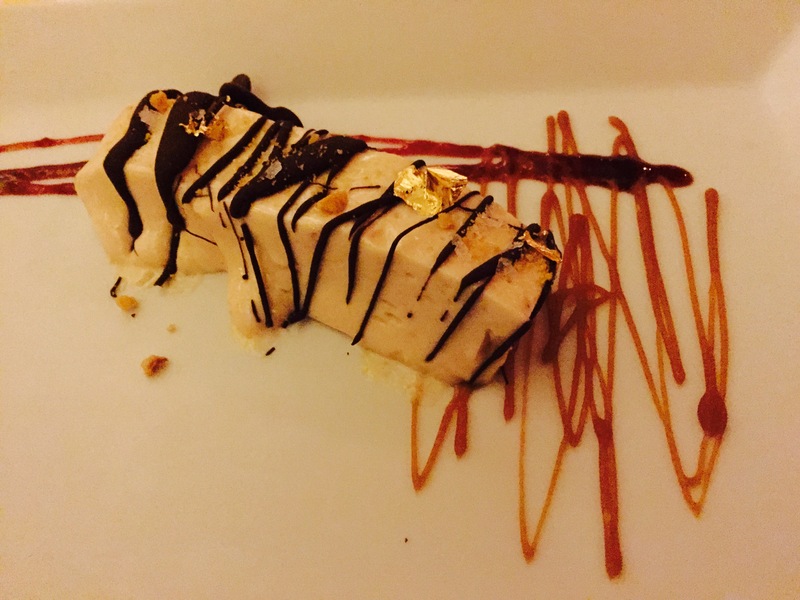 Yes, you are looking at Frozen Foie Gras. SAN ANTONIO – July 21, 2015 – JW Marriott San Antonio Hill Country Resort & Spa welcomes Santa Claus as he takes some time to kick back and enjoy the Hill Country scenery and laid back pace. The resort will host Santa on Saturday, July 25 from 4 p.m.to 7 p.m. and will celebrate his arrival with a 72-hour room sale open to everyone for booking select days at 55%-60% off regular high season rates. Room rates are for arrival stays November 22-29, 2015 and December 6, 2015 – January 3, 2016, some blackout days apply. In recognition of Santa’s summer vacation and a “Christmas in July” spirit, the 72-hour sale will begin July 24 and end July 26. The 72-hour sale rates are $149 per night for a resort room and $169 for a resort room with a view. No booking codes needed and reservations may be made at www.jwsanantonio.com or www.jwholidaysale.com or by calling 210.276.2500. Rates are per room, per night; taxes and resort fees are additional. 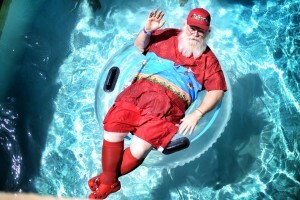 With six-acres of water slides, pools and lounge areas, Santa will enjoy acting like a kid again while soaking up some sun and fun with resort guests. Wearing his resort attire, guests will be able to spot Santa splashing in the pools, floating down the lazy river and climbing the stairs to the tower slides during the late morning. Along with his elves, the jolly guy looks forward to talking with kids and their parents before he begins working long days at the North Pole making his lists and checking them twice. Holiday-themed activities and offerings will be featured for resort guests that day to celebrate Santa’s visit. “The JW Marriott San Antonio Hill Country Resort & Spa is delighted to welcome Santa Claus as he rests and restores for his busy season. 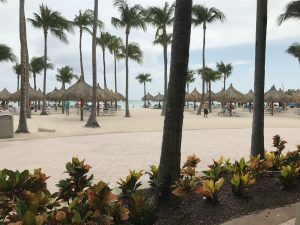 We are excited that our guests can interact with him giving them another delightful memory to take home from their experiences at the resort,” said Mary Jo Ferrazza, director of experience, JW Marriott San Antonio. The resort will add some surprise twists to the day with holiday themed activities such as temporary tattoos, holiday cookie decorating, roasting peppermint chocolate s’mores and more. Elves will be seen roaming about the interior and exterior of the hotel passing out treats to those caught being kind to others. Young travelers will have the opportunity to float, swim and slide with Santa Claus for a few hours that morning before he sneaks away for some time in the resort’s spa and sharpening his golf game on one of the TPC San Antonio’s two PGA TOUR courses.